For every Subaru there is out there, blasting sideways on some uncleared forest road, there's a half-dozen more sitting under piles of snow. Not cleared out the first big snow, not getting cleared out until the final melt. 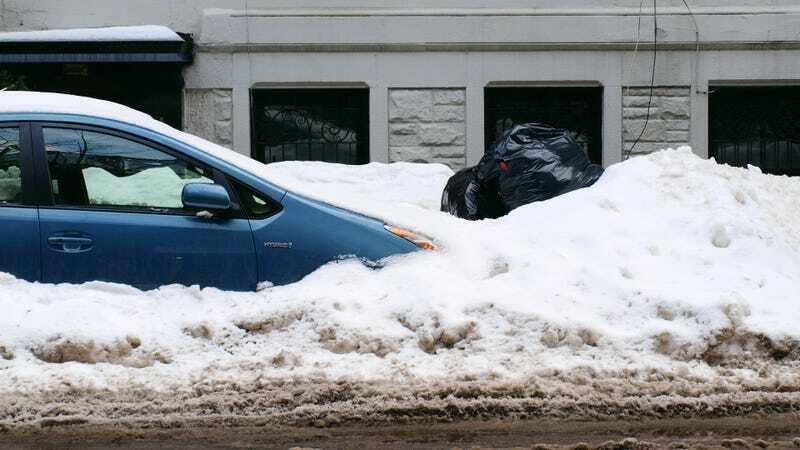 Show us the best pictures you have of snowbound vehicles from this winter, I'm sure you can do better than the typically anti-driving Prius in my neighborhood above.